The teaser of the much awaited film Kaala is finally OUT. Nana Patekar plays the antagonist and megastar Rajnikanth will be seen as the masses’ hero. He will fight for the oppressed and will take on Nana Patekar’s character in the film. The teaser of the much awaited film Kaala is finally OUT. The teaser of the much awaited film Kaala is finally OUT. Fans have been waiting with bated breath to catch a glimpse of their screen idol Rajnikanth in this film. The gangster drama has a political twist. The teaser has made the wait for the film even more difficult. Nana Patekar plays the antagonist and megastar Rajnikanth will be seen as the masses’ hero. He will fight for the oppressed and will take on Nana Patekar’s character in the film. 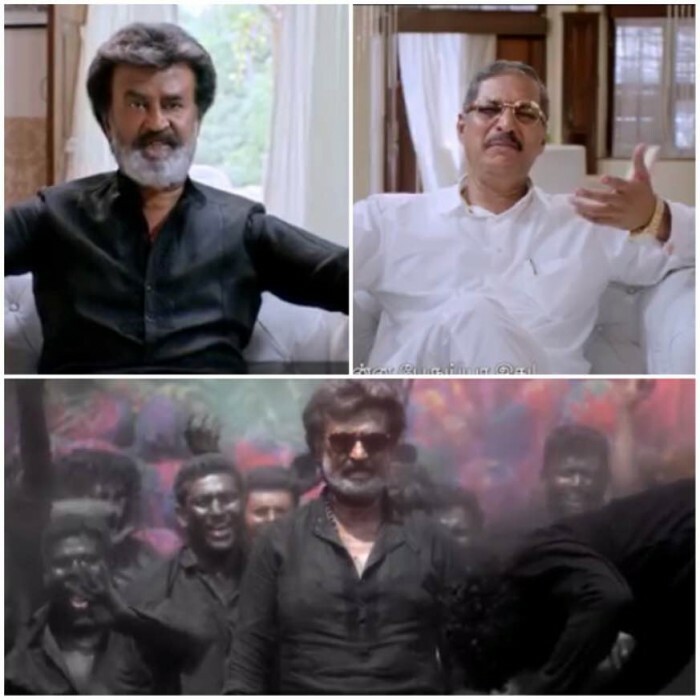 In the teaser, Nana sports a pristine white attire and questions Rajnikanth, ‘Kaala, what type of a name is that?’ Rajnikanth responds with a monologue that has been supported by apt background music. Rajnikanth talks about the color black and talks about himself as being the one who fights to protect. A stunned Nana Patekar looks on as Rajnikanth delivers the dialogue. He says, ‘Come and see the dust in my chawls- it scatters like a rainbow’. The film has been shot extensively in the slums of Mumbai. It also features Huma Qureshi and Anjali Patil in important roles. Check out the trailer here and let us know your thoughts in comments. Nana ji an amazing actor !